Fruitless Pursuits: Half Hour History Episode 7: Queen Mary of Teck! 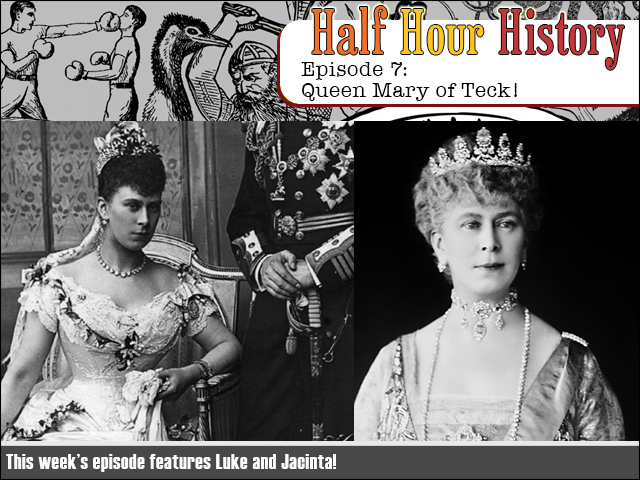 Half Hour History Episode 7: Queen Mary of Teck! This week we learn all about the stony-faced royal Queen Mary of Teck and how she tamed her horrible family! Plus we learn all about where the Prince Albert came from! Probably! Teck a chance and get ready to LEARN!